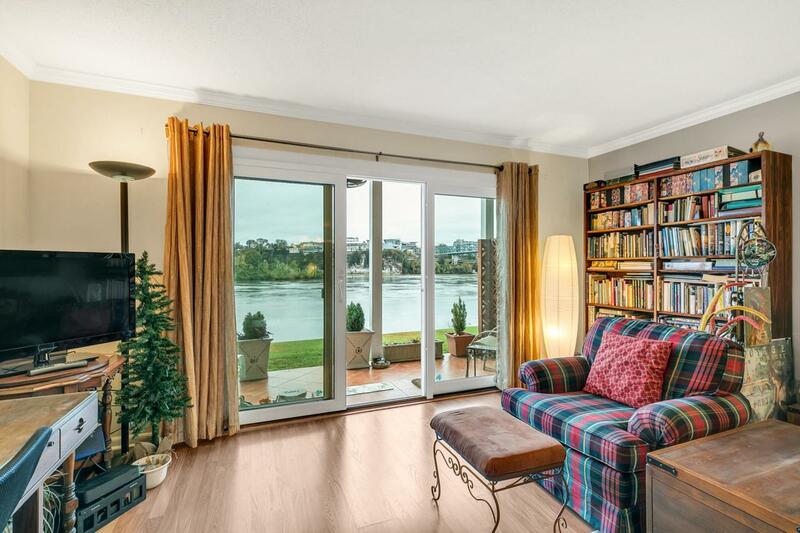 A rare opportunity to buy a riverfront (not just river view) condominium is now available. 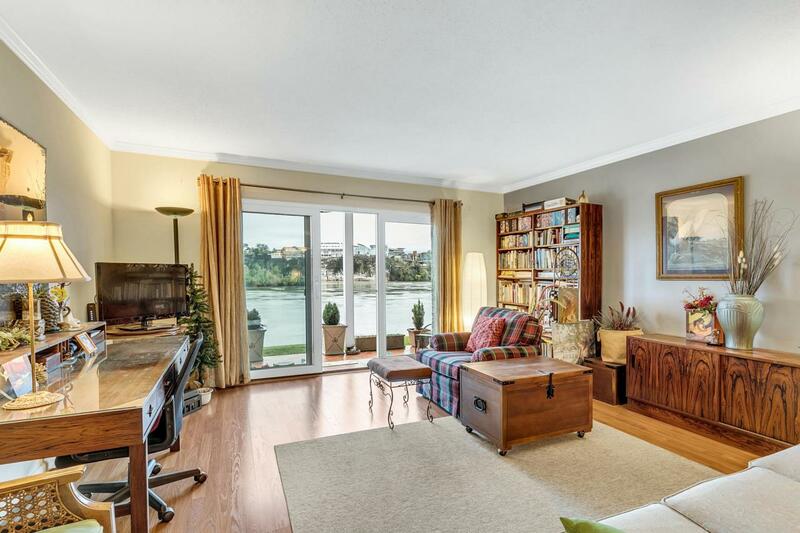 You cannotappreciate the placement of this ground-level 2 bedroom, 2 bath, condominium until you stand in theliving room or one of the bedrooms and get the feel of real river living with just a gentle terraced lawnbetween you and the river landscape. There is not much of a turnover in ownership of the ground levelapartments that fully face the river, therefore they are not often available on the market.The 512 condominium at Riviera Villas on River Street has the best location in Chattanooga including theBEST view for Chattanooga river events with NO obstructions from the patio to the Tennessee River: nosidewalks, no parking lots, from the patio to the edge of the river.This condominium is located in the heart of our vibrant city next to the Chattanooga Theater Centre, Coolidge Park, Walnut Street Bridge, and a panoply of shops, restaurants, and galleries. 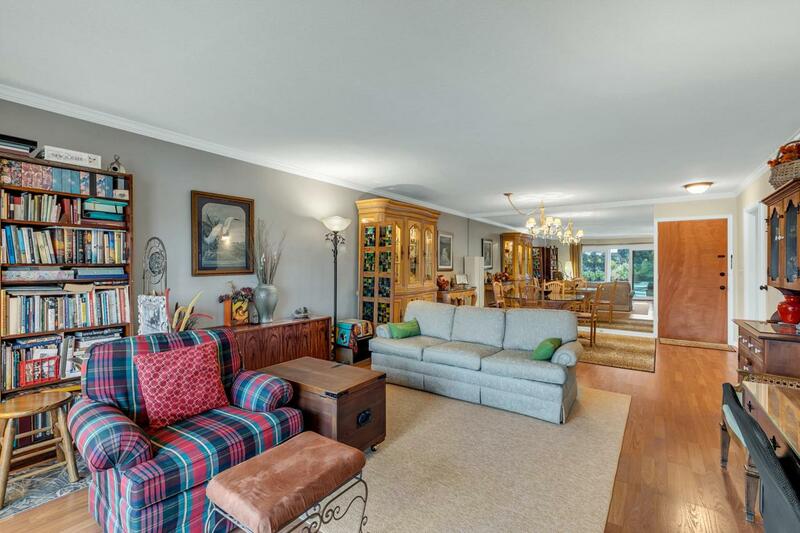 Riviera Villas is a 1960's era condominium situated in a 21st century-enviable location. The rooms are larger than most of the new condominiums on the river, and #512 is directly across the water from The Hunter Museum. 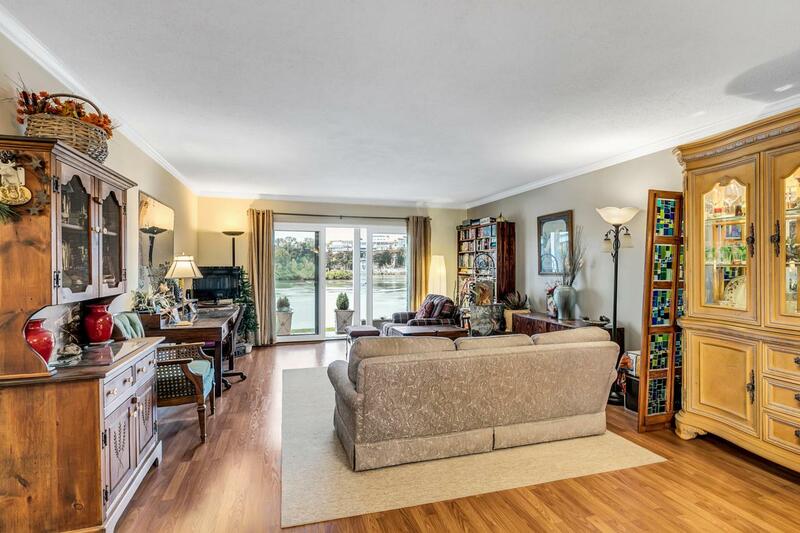 The view is enhanced by the bluff and by the Audubon Society-owned Maclellan Island; an 18+ acre wildlife sanctuary. No pets allowed to live here.